What is the single most exciting powsurf in your line next year and why? 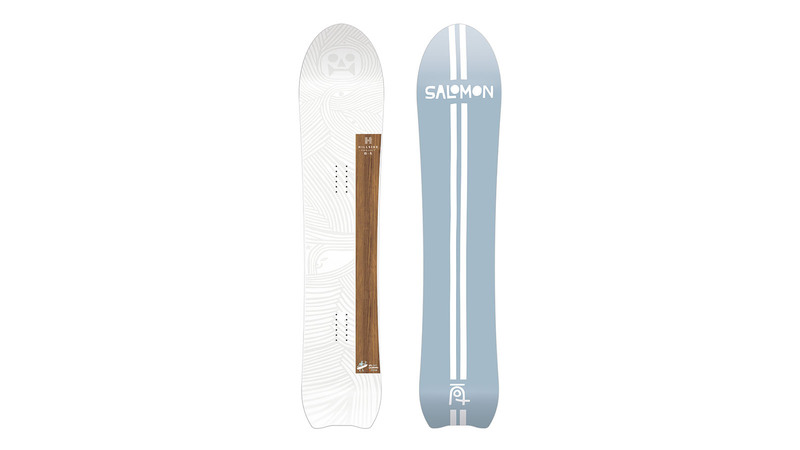 Well, we have a Collaboration next year with Salomon. We got together to create my dream quiver consisting of 3 Boards. 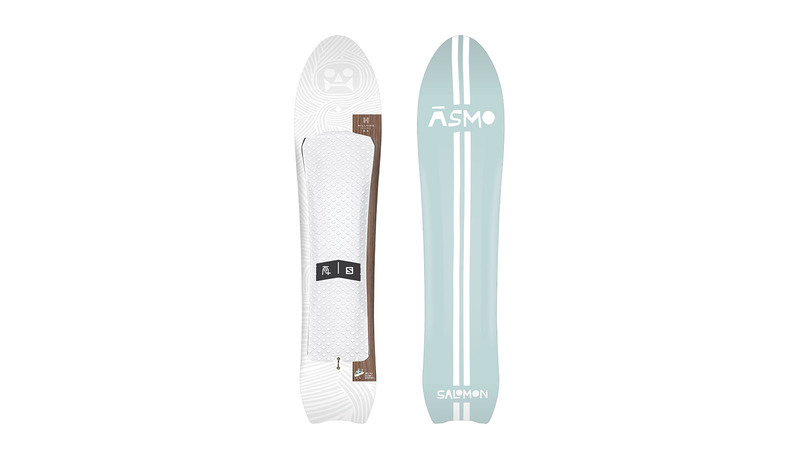 A 159 Freestyle Board, a 152 special edition of an Äsmo and one Pow snowboard which is basically a mix of both of and Äsmo and a Snowboard. Our Factory Line got a few upgrades and there the SI 152 is definitely my favourite. Most of the shapes we feature in both the Original Line construction and the Factory Line Construction so it’s hard to pick a favourite really. Of course, our roots are the wooden Topsheets and that’s why I would always would choose one of those. Construction. This is the place where you can talk to us about the new ingredients in your boards, and how you are building uniquely. We’re interested in anything new in inserts / edges / cores / sidewalls / glue / resin/ wood types / base material etc here. So the Original Line compared to the Factory Line uses the more high end materials. The Technical thought behind that is to have a stiffer flex and better stability for heavier riders without making the Board heavier. Its full carbon contstruction and we use paulowina woodvcores. Other then that we have a special TZopsheet veneer which adds extra stability and we keep the classic look of our Boards. Where are you building, what factory in what country, or your mum’s front room? There’s no wrong answer here. What makes this production facility the best solution for you? 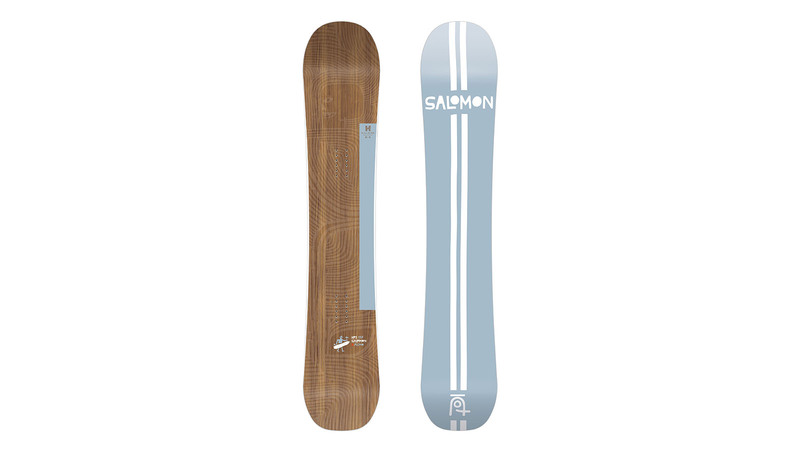 All our OG Line Boards are made in our Workshop in Zillertal. The FL Boards are made with our Producer close to home. We spent the last few years developing those Boards and we are beyond stoked on how they came out. For 19/20 we have some, still secret, new construction for the Og line coming out. Which price point is seeing the most action at retail? What do people want to pay for powsurfs? It’s about 70% FL Line and 30% OG – Line I would say. What is your most popular shape going to be next year? Blunt, reverse sidecut, short, tapered, swallow, what? Honestly I’m not too sure. It seems to change a bit. To me, a swallow is the most versatile shape for a powsurfer and my go-to Board. But it’s always nice to switch it up and I have the feeling that’s what our customers are looking for to get a new feeling. We’re really interested in the graphic themes running through next year’s line. What is inspiring the colours & patterns on your powsurf models? Honestly at that point we haven’t decided yet a 100% what is going to be on the FL Line Boards. We are working with some Artists and have some rad stuff. OG Line is going to stay true to its roots. Do you think powsurfing has a future in developing into conventional snowboard retail/distribution channels, or is it destined to be a brand-direct business? Our Goal is to do both and we are working definitely doing both. Like BlueTomato is ordering our Boards for 2 years and we definitely stoked to work with selected shops. all over. It’s cool that people can go into a shop and get a feel for our Boards, shapes and what goes into it. Especially our 3D Base which allows to even navigate groomers and get you to your pow runs. It is something worth seeing in real life. Also, the direct contact to our customers is rad as we can answer alot of their questions directly. I think it all depends if customers are willing to pay the extra costs of a Handmade product which is not produced in China. Also if other Brands not just use Powsurfing as a tool to promote their snowboards and sell their Chinese powsurfer for cheap. How likely is it that the average snowsports participant will get into powsurfing? What’s the best way for this to happen and the sport to grow? First of snowboarding in general is not a sport. A sport depends on rules and we depend on having no rules. Our roots go deeper than most other so-called sports on this planet. I think first we need to grow out of this way of thinking and selling out to things like the Olympics. Snowboarding as a whole needs to mature and take control. For sure Olympics are quick boost but won’t solve the long term issues. Anyway, I think then,yes,, powsurfing could stick around as part of Snowboarding.